The all new Ducati Multistrada 1200S Touring is set to redefine by its stunning looks, stuffed features and advanced technology. One of the best part about this classic vehicle is its revolutionary riding mode feature which controls power output, suspension and traction control system to match the various modes such as urban, enduro, sport and touring. The bike is specially designed for long distance journeys thereby guaranteeing the relaxed ride. Thus with all its refined structure and powerful characteristic riding a bike will never be same. 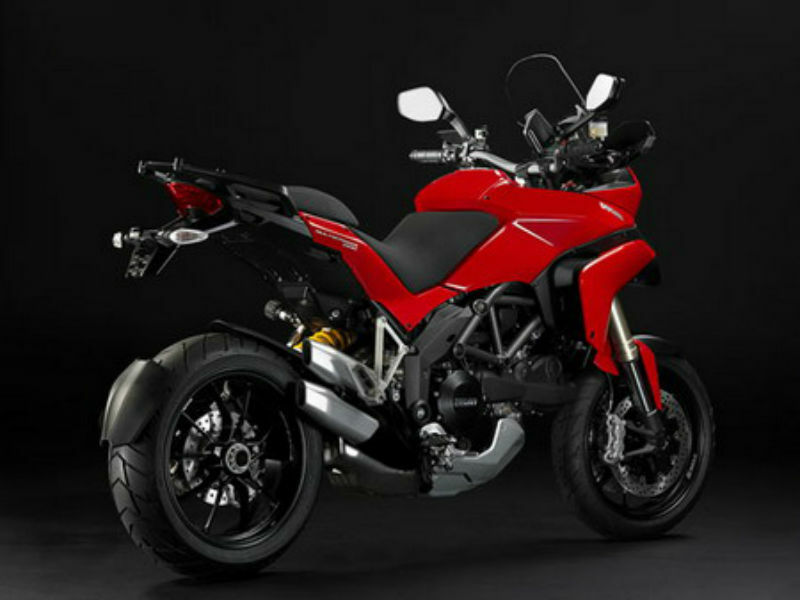 Ducati's Multistrada 1200S Touring is equipped with Testastretta 11° engine with the reduced valve configuration for smoother, noise free operation. This engine is assisted by advanced technologies such as ride-by-wire, torque assisted slipper clutch and vacural crankcases for the great performance. The maximum power generated from this potent engine is about 110.3 kw at 9250 rpm and the peak torque achieved is 118.7 Nm at 7500 rpm. This power reaches the wheels of the bike through 6 speed gear box. The huge and chunky looks of the bike serves as a true eye catching element on road. The new bully outlook with the shiny body has the power to attract any passerby. The piercing structure of the vehicle with the stylish curves and lines not only add to the beauty but also serves the demand of aerodynamics thereby assuring the quality performance. The front portion of the vehicle including the smart headlamp design, digital instrument panel, handle bars and attractive mirrors add luxury and sophistication. The wider seats and luggage box at its rear side are other major factors that seek attention. With many of the striking and excellent features riding this touring bike is an all new pleasant experience. Since the bike comes with tough body and gigantic power the thrill that it assures on riding is truly amazing. The well designed instrument panel displaying all the information required is one of the major plus point as it keeps the rider informative. The larger wheels and the comfortable handle bar position are some of the other points to be considered for problem free driving. Further the Ohlins suspension system and disc brakes with the ABS facility makes the rider enjoy the drive even on bad roads. 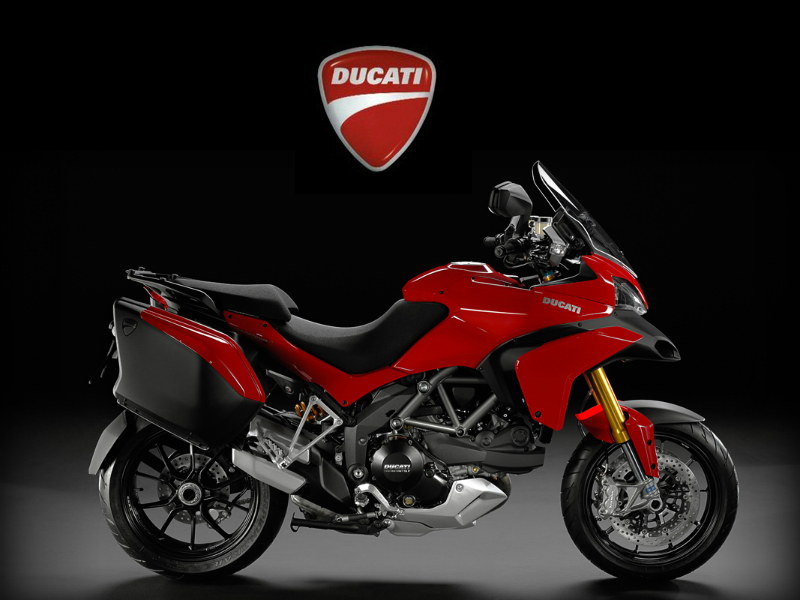 This touring bike is said to give a decent mileage like any other Ducati bikes. 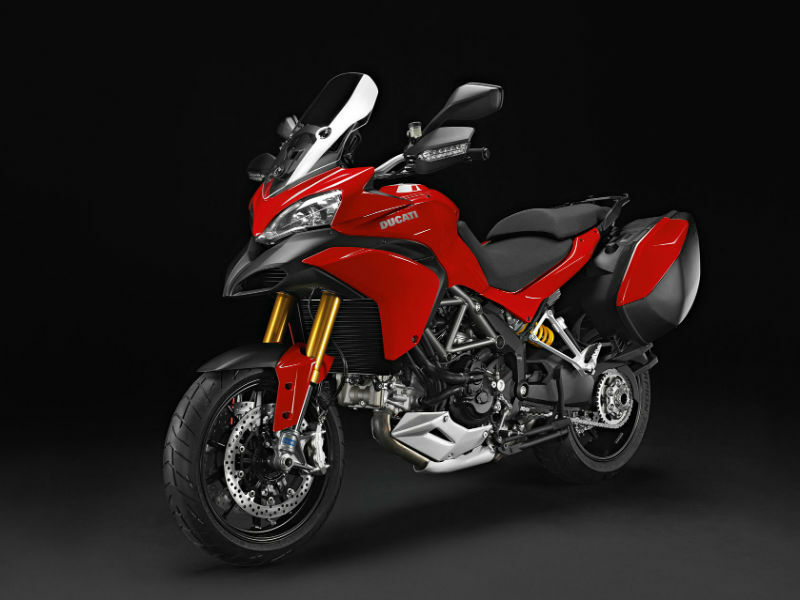 The new macho styled motorbike Multistrada 1200S Touring is available in various shades namely Red, Arctic White and Race Titanum Matt. The ex-showroom price of this bike is about Rs. 24,89,000.